Is it crazy how a simple thing can make you happy? I haven't been to a theme park since the first opening day of Universal Studios SG in May 2011. 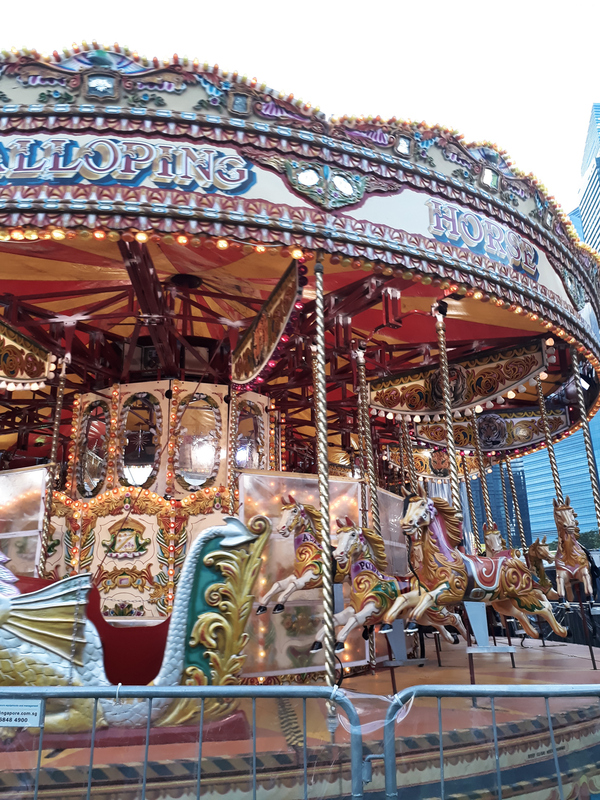 Me and my sister @bellamoreway had a nice walk around Marina Bay before deciding to go to the carnival. We both had a rough week, a good time for ourselves was all we need. That noon was hot but so windy. Nevertheless, it didn't really matter. I was craving for something sweet, how lucky we were to find a $1 ice cream to accompany us. I used to spend much time in this area with my parents. I never get tired of walking and walking, looking at the dome, or the boat, or the Singapore Flyer especially in its shining moment back when I was 12. After a short walk, here we were! 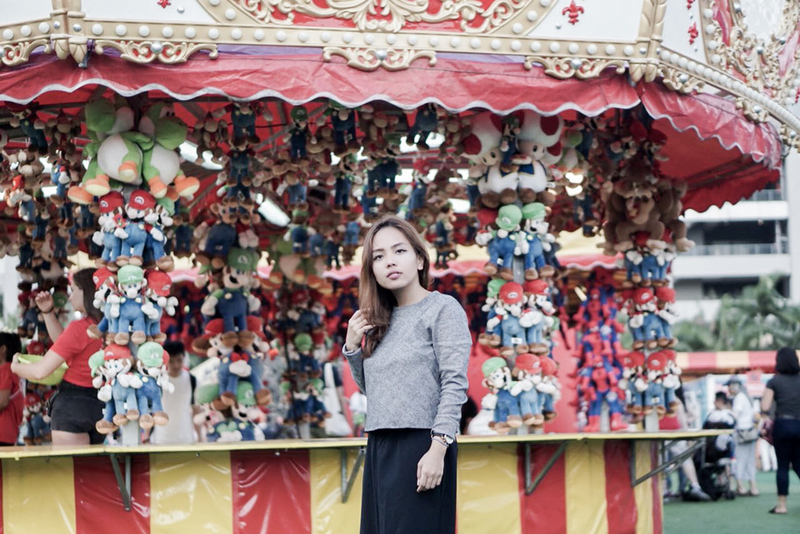 When I stepped in this simple carnival I felt like I was walking down a memory lane. With all of the laughter and colours that carry us through. Perhaps that was the most decent moment we can remember as a child and that bygone era. 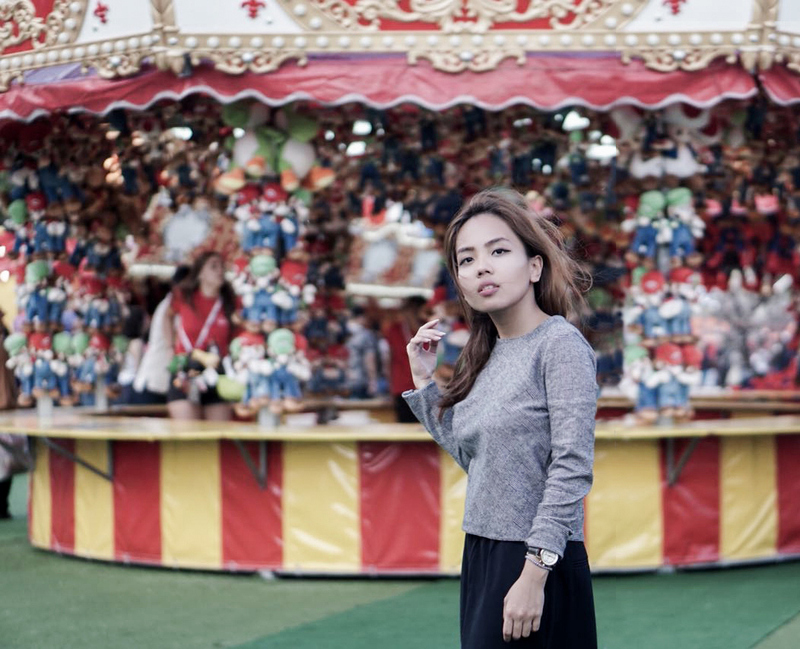 I was a curious kid and I had countless trips with my parents to a theme park since I was 2. 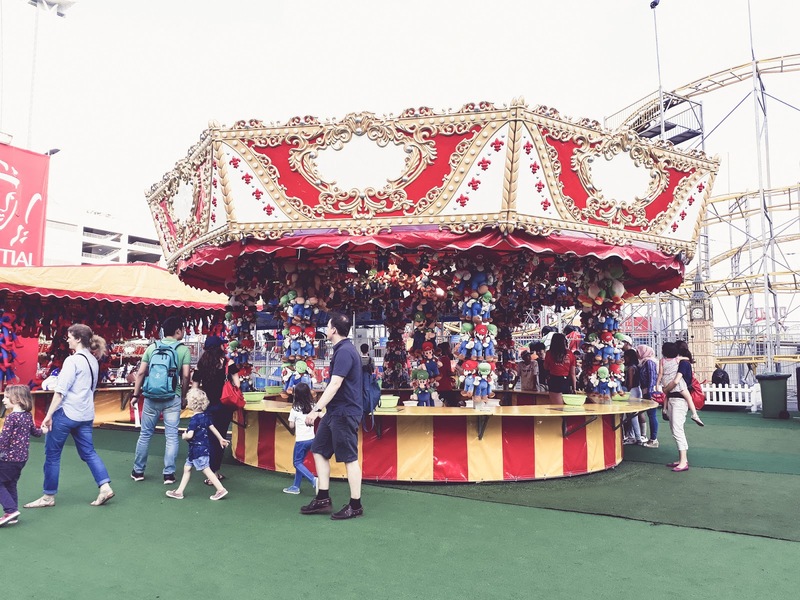 The carnival is located at two locations in Marina Bay area. One is at Bayfront event space, just beside Marina Bay Sands. The other one is located at The Promontory, just opposite OUE. You can reach the place by taking MRT and alight at Bayfront MRT (Marina Bay Sands) or Promenade MRT. I recommend visiting the space on an evening to avoid the scorching sun. 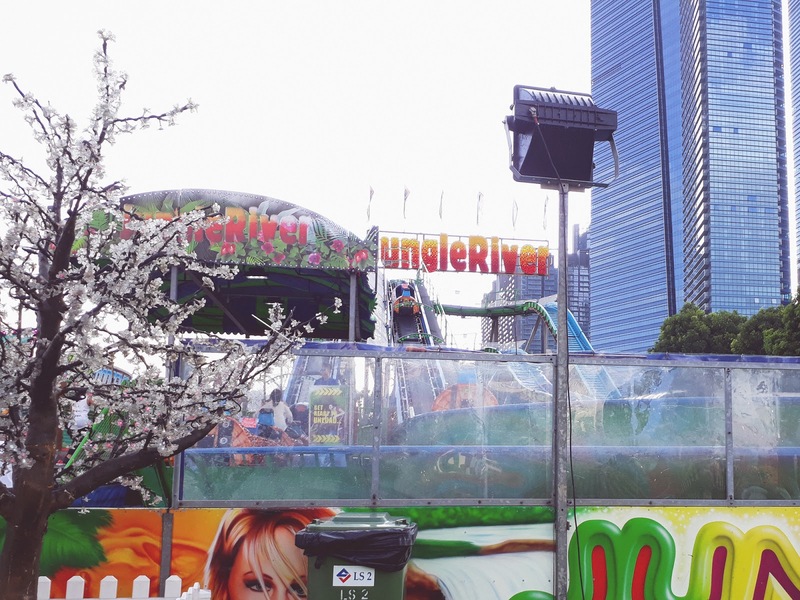 The entrance to the carnival is free, but the ride costs about 8-10 tokens. 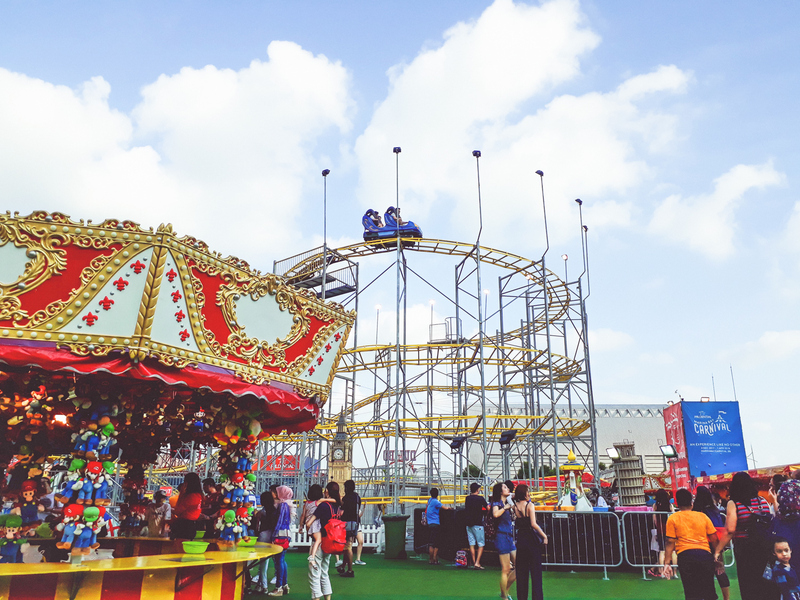 You can buy the token card near the entrance or buy Marina Bay Carnival pass online. 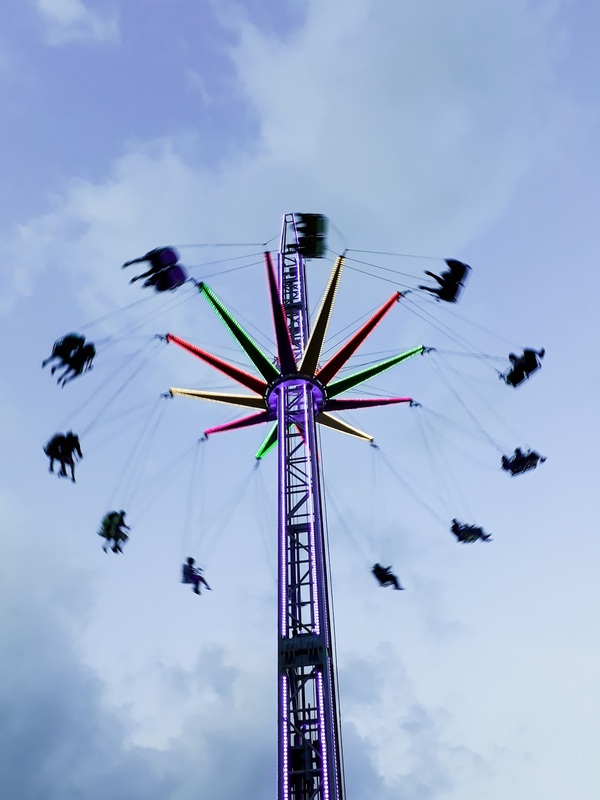 Some of the highlights you should try are the Mach 5 which you would be turned 360 degrees up in the air, Euro coaster, the Pirate Ship, Jungle River - be prepared to get wet, the Carousell, and my personal favourite the Star Flyer. 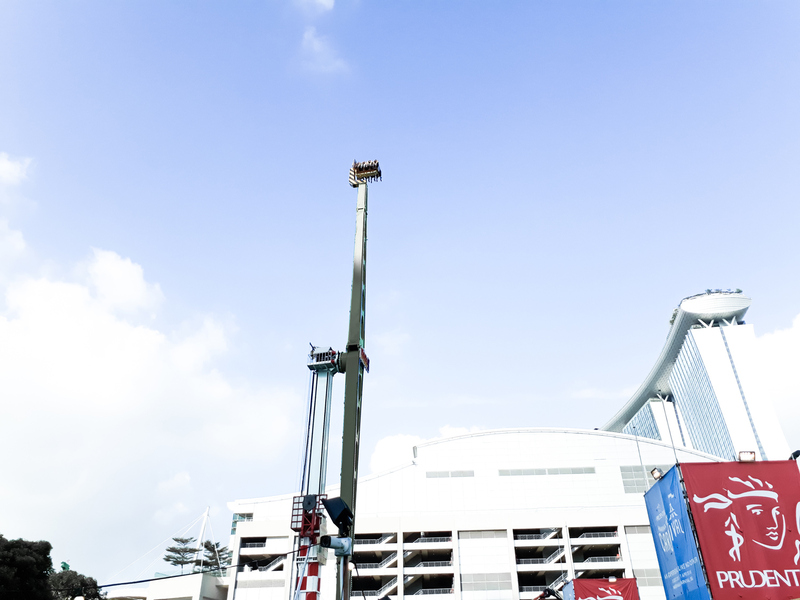 My favourite Star Flyer ride where you can have a 360 degrees of Singapore from 35m height. Thrilling but fun! There are several game booths that you can try. From hula hoop game, ring tossing, bowling, to all sort of ball games. You can win licensed toys, so try your luck! I got a Kung Fu panda plushies after winning a game where you should insert the ball into a container, it was bouncy! so the trick was to be gentle! There were also several food booths to try from bubble tea to fried snacks. 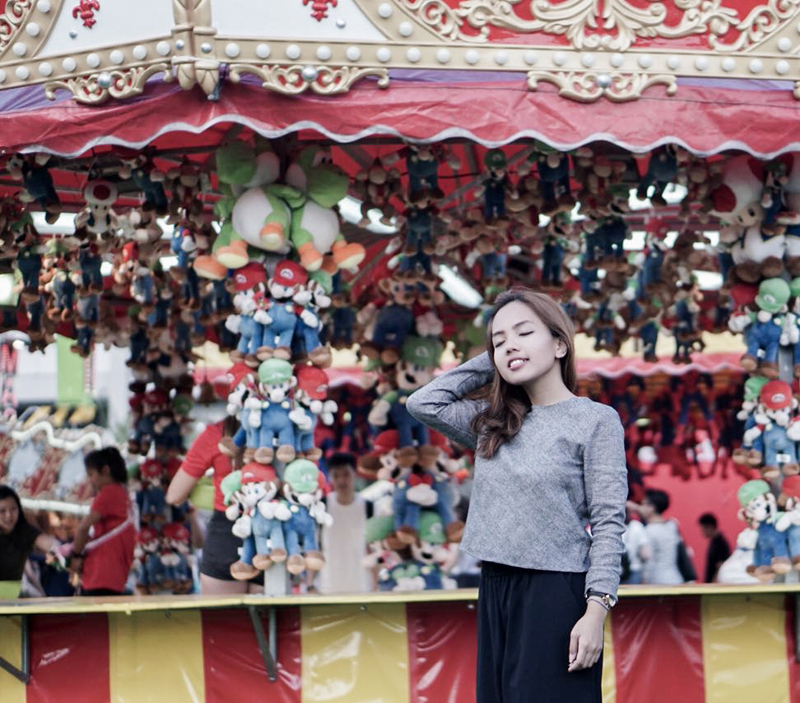 We tried so many rides and games and laugh till it hurts. Awkwardly that 3 hours felt like one of the happiest moments after such a long long time. Most probably happiness comes in the most simple form. So what do you think of the carnival? I read with great interest.Can you please tell me how can I read your rss blog?